The science of the LSST will, in part, be driven by how it observes the sky (the footprint and cadence of the survey). 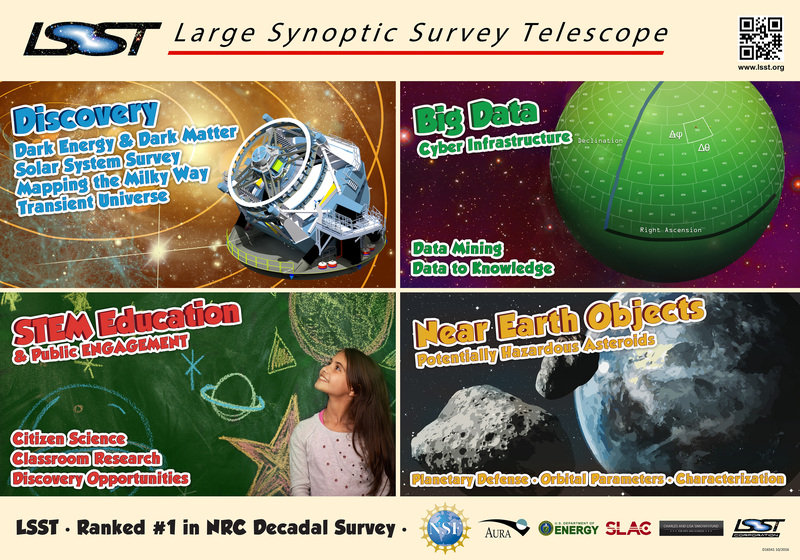 I provide a brief overview of the ongoing community and Project work on LSST observing strategy, and pointers for how to join this effort. Jernigan, J. G.; Kahn, S. M.; Rasmussen, A. P.; Peng, E.; Ahmad, Z.; Bankert, J.; Chang, C.; Claver, C.; Gilmore, D. K.; Grace, E.; Hannel, M.; Hodge, M.; Lorenz, S.; Lupu, A.; Meert, A.; Nagarajan, S.; Todd, N.; Winans, A.; Young, M.
Meyers, Joshua E. and Burchat, Patricia R.
Tyson, J. Anthony et al.